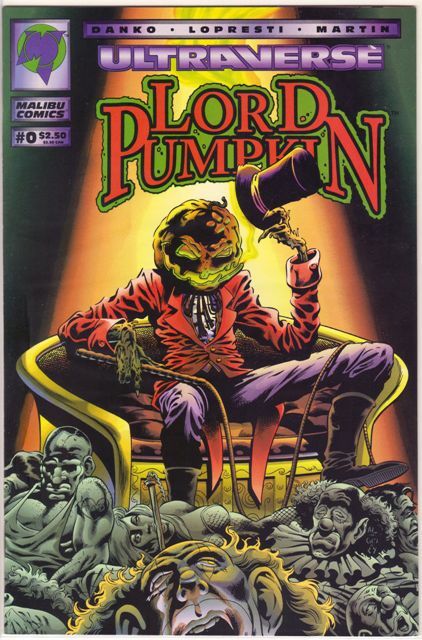 It’s Halloween. 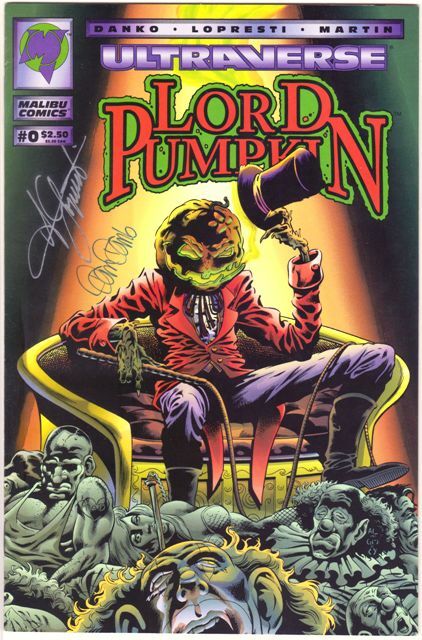 This is Lord Pumpkin. That is all. 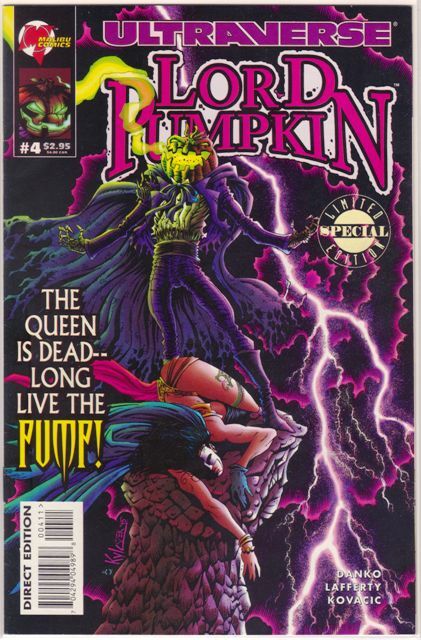 This is the origin story for one of the better bad guys in the Ultraverse, definitely one of the coolest-looking. I figured I would post this now since I just finished the NecroMantra stuff. 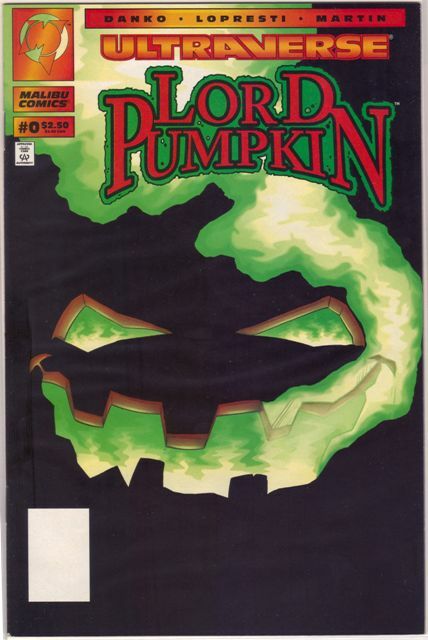 There are two covers but the content is the same, and I don’t think that one is much rarer than the other (maybe the one with a close-up of LP’s face is a little tougher to find). Try not to spend more than a buck for either one. 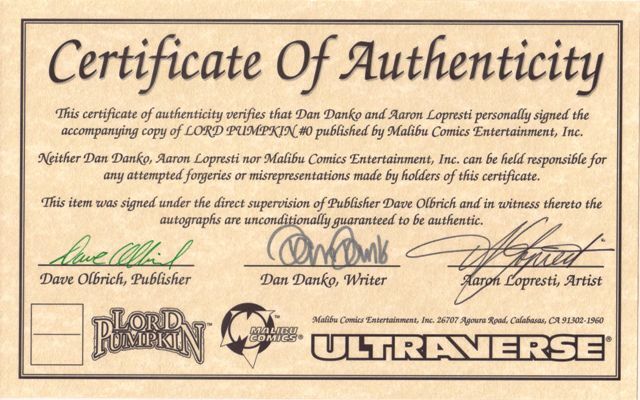 There is also a signed version of the first cover that comes with an Ultraverse certificate of authenticity. 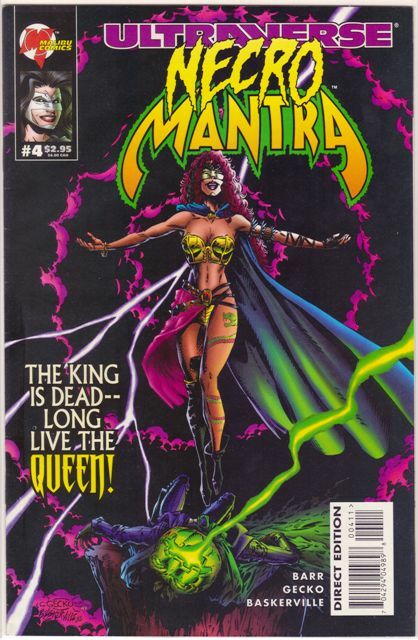 NecroMantra was a four-issue limited series that took place before the relaunch. I skimmed them, there’s nothing really to distinguish these books. And it’s pretty easy to find them all in one lot for a good price, except for maybe the Limited Special Edition to No. 4 (see below) which is usually a buck or two by itself. 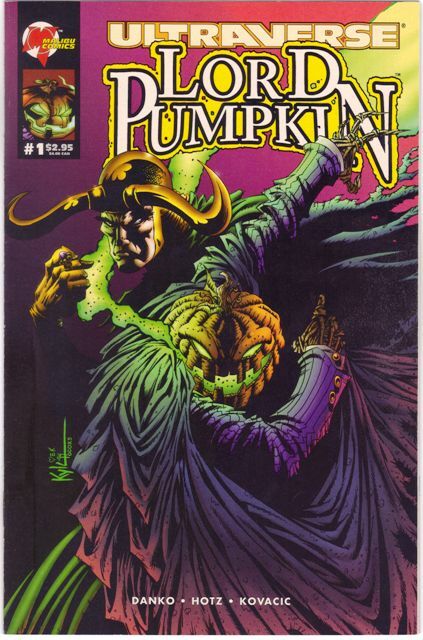 I got one in a quarter bin once, though. 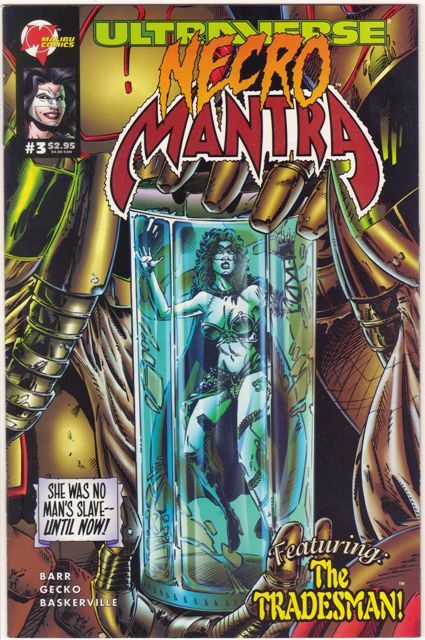 But here is something weird I noticed as I was scanning these in. 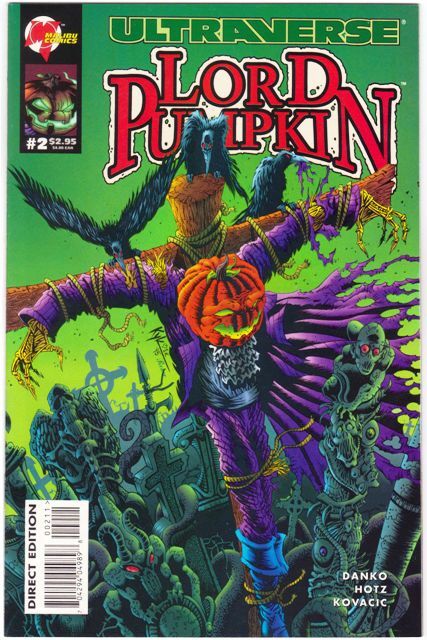 With the second and third issues the UPC code is on the Lord Pumpkin side, I guess making that the default cover. I’m not sure yet if there are two versions of these books. Time to do a little digging. If somebody knows, please drop me a note. No. 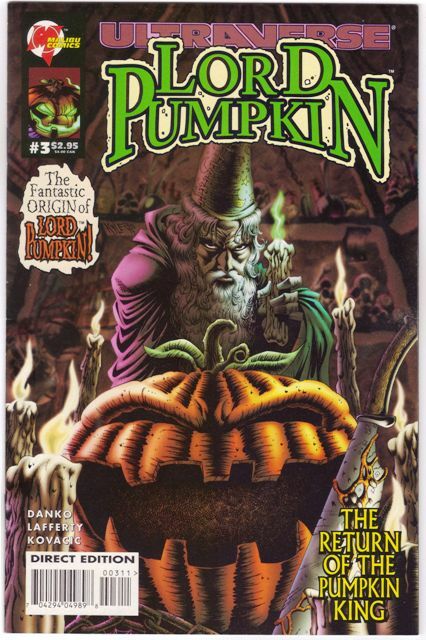 4 did not have a flip-cover, but there was a separate Limited Special Edition version that had the Lord Pumpkin cover.